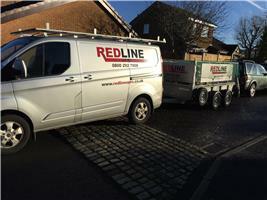 Redline UPVC Installations Limited - Fascia/Soffits/Guttering, Roofer, Windows/Doors/Conservatories based in Leyland, Lancashire. Our aim is quality workmanship and we offer competitive pricing! Detailed written quotes, No deposit, Payments only when job is complete and customers are satisfied. You can relax and know you’re in safe experienced hands. Leyland, Preston, Chorley, Wigan, Bolton, Leigh, Charnock Richard, Lancaster, Morecambe, Carnforth and Barrow in Furness.